Twitter chat hour #ponyhour is running a fun Easter competition to win some treats for you & your horse. 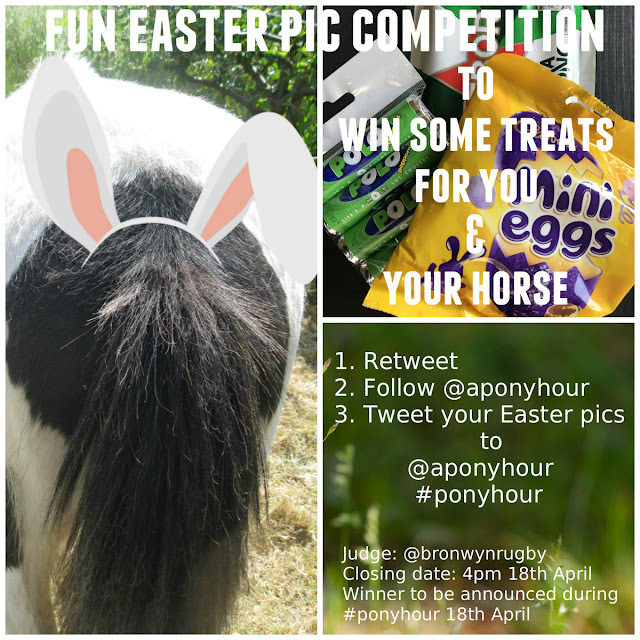 All you have to do to enter is Tweet @aponyhour with your Easter equine photograph before 4pm on Tuesday 18th April. The winner will be announced that night on Twitter during #ponyhour 9pm-10pm.